Hey Guys welcome to FFA's official Smack Talk Board. This board will be used for you guys to call out other fighters, If you think you deserve a title shot! Call out the fighter. Our staff will be checking this regularly to see if anyone is putting it to use! Aside from smack talk, you will be able to find all of FFA's previews of our events! So stay posted and put this to use. Welcome everybody.. we are nearing the Eve of an Era, Freedom Fight Alliance's first ever event. This promises to be a very special evening and what better a night is there to kick things off than on the eve of New Years Day! To add to the excitement, FFA is starting off the night with a bang. Highly recruited Jackson Bishop takes to the cage against 18 yr old Muay Thai phenom Sonny Chatchai. This highly anticipated Semi Final matchup will be the first fight Freedom ever puts on and it should be a good one. The first fight of the evening made a strong case to be the main event with highly recruited Jackson Bishop throwing down with highly touted 18 yr old prospect Sonny Chatchai. All signs point to this fightÂ being decided on their feet. Bishop has shown to have great knockout power especially in the clinch, whereÂ Chatchai's main strength lies. This should be a great tilt to decide who will be fighting for the title in their next fight. In our co-main event the selection committee took some heat for this Semi final matchup;Â which has an 18 yr old 0-0 fighter matched up against a 1-5 19 yr old. Werbanmagermanjensen is the top ranked prospect in the class, and Mack brings something there isnt a whole lot of in the division; experience. Potential vs Experience is the name of this fight and what makes it so enticing. This fight can be decided just about anywhere as both fighters have a level of unpredicatability. Both are young fighters with their whole careers ahead of them with a great opportunity to put their names in FFA history. Our next fight has â€œVendettaâ€ squaring up with the â€œIce Manâ€. Savage, having no previous MMA experience, has shown very strong stand-up in training and amateur events. Magnason lost a boring decision in his first fight. Look for him to come out hungry and make a statement. Our main event features the submission specialist Spilopoulos vs the stand-up fiend Gardarsson. Leonidas is off to a quick start in his career against decent competition, with all three wins coming by submission. Borkurâ€™s career got off to a shaky start with a sub loss. Look for Borkur to keep this fight on the feet. Welcome everyone, to the Freedom Fighting Allaince’s second event, The Second Coming, if you will. We will continue our semi final matchups later in the night, with our 145 and 205 weight classes being showcased. Everyone is hungry to see the conclusion of this tournament, and these fighters surely will not disappoint. Our main event features young stud “Zen”, squaring up against experienced vet “O Anao”. Both fighters bring a world-class ground game to this bout, with four of their combined 6 wins coming by submission. Will we see them be out to prove whose ground game is superior? Or will a new facet of their games be uncovered? Our co-main event features “Bear” against “Lightning”. A battle of the living vs mother nature. Kovalenko brings a stifling ground game to this battle, with his only hiccup coming against a very impressive fighter. Jacek is new to the MMA game, but is not a young man by any means. From what we have seen in his amateur competitions, he brings a dominant muay thai game to FFA. Look for this to be a struggle on the feet and the ground. Our next semi final fights brings the aptly named “Pound” out against the Croatian Mekovic. Julyfeather is known for his mean standup, which I’m sure all four of the fighters he’s defeated can attest to. Mekovic’s stand up game could be just as dangerous, so look for this to be a war on the feet. Our nights of semis starts out with “Comeback Kid” pitted against “OG”. Ellesworth will look to show off his muay thai expertise, while Khan will look to show off his boxing prowess (he might be related to Genghis Khan, the tests haven’t come back yet). Another standup conflict. After two sellout shows FFA has reached its midpoint in its Tournament that began in FFA 1: Eve of an Era. FFA 1: Eve of an Era saw Jackson Bishop dismantle Sonny Chatchai in FFA's first ever fight. With this win Bishop will join Leo Spiliopolous, who won FFA's first Sub of the Night award, in the 155LB Title Fight on January 21st. Eve of an Era also produced our 170LB title fight which will see FFA's most experienced fighter in Alvin Mack square off against 1st round KO winner Antonio Savage. This title fight will be the co-main event at FFA 3: Spiliopoulos vs Bishop. FFA 2: The Second Coming just concluded. This show also produced a sellout and it appeared the fans of FFA were happy with the fights that took place. Our main event saw 19 yr old phenom "Zen" Ekaku come away with a 2nd round TKO victory over impressive 25 yr old Reinaldo Sousa. It has been confirmed that Ekaku will meet Haris Mekovich after his stunning first round knockout against the favored Mark Julyfeather in the 145LB Title fight in FFA 4: Ekaku vs Mekovich. There is still some rumors to clear in the 205LB division, but nonetheless the Second Coming saw Koslov Kovalenko and Billy Khan pull out victories and punch their tickets to the 205LB title fight if they so wish to use them which is penciled in for FFA 4 on January 28th. Welcome families, friends, kids of all ages to the third installment of the Freedom Fighting Alliance, Spilopoulos vs Bishop! Our first official champions will be crowned tonight. We as owners couldn’t be more excited; and remember this is only the beginning! As Motley Crue would say, on with the show! Our main event features two fighters with futures so bright, I have to look away while watching them fight. Both steamrolled their opponents in their first bouts in FFA. The mean, young, brash Brit will take on the older, craftier Greek. Expect both fighters to attempt to prove they have the better ground game. I predict a war! Our second title fight on the card features a relative newcomer to the sport against a grizzled vet. Savage’s debut in MMA went very well, ending within a minute. The darkhorse of the tournament, Mack, has become a Cinderella story of sorts, and has earned himself a title shot with a quick win of his own. We have a showdown between two newcomers to FFA (can you believe it?). The very young Del Rio has shown quite the impressive ability in the stand up game. On the other end, we have Smoke, who likes to smoke and is not afraid to tell anyone. He also brings a mean stand up game. We might have a bloodbath on our hands. To open the main card, we have ‘Flynn’ taking on ‘The Hatchet Murderer’. Both are attempting to squeeze their way into the title picture with a win here. Both have shown the ability to win, but will need to show they can win in bunches if they want to be a future champion. Hello all! We have an exciting night of fights planned ahead. So look no further for a night of entertainment, we have FFA 4: Mekovic vs Ekaku! (January 28th, 2017). After the fights, stay tuned to FFA as our official Org Rankings will be released over the weekend! Our main event is for the 145-pound title featuring two beasts in the division. Both fighters steamrolled their opponents to get this opportunity; and neither plan on letting it go to waste. Mekovic brings a relentless muay thai assault to the table; while Ekaku features a smothering wrestling game. A bloodbath in the making. This match is for the inaugural 205-pound title, and both men will be looking to make a name for themselves in FFA. “Bear” will look to bring this fight to the ground and wear out his opponent. “OG” will be trying to shut his opponents’ lights out with his heavy hands. This will be a battle of attrition, and we can’t wait to see it! Both of these men lost their chances at the initial 145-pound title, so both are looking to get right into the number one contender slot. This will be a crucial fight to see who could be fighting for the title when the dust settles. We will see a stylistic clash in this fight, as both men bring totally different things to the table. We have a chess match on our hands folks! The opening of our main card showcases some more FFA newcomers. “Soap” will be taking on “The Bloody Dragon”. Both are stand-up specialists and I don’t think this fight is going to change that. Someones 0 has gotta go! "They never told me becoming Champion would be this easy, and I know staying at the top will be a breeze too. I'll rinse any Lightweight that wants it, and before long I'll come for the other belts. Yeah that's right, three belts for the nightmare, that's whats gonna happen." ​We've learned to never doubt the "nightmare" so sounds good to us! How about you defend the 155LB title a couple times and establish yourself as a legitimate champion before you hunt down the other belts... Champ. You do this and we can do some talking. This is the first edition of our monthly rankings. At the end of the rankings will be a top 10 P4P list. Hope you enjoy and gives you some perspective of where you stand and your hunt for the title. We are here for FFA 5: Rising Up. Our owner is having an identity crisis, but none of that matters because we are here to witness a night of great fights! Could this matchup show us the next challenger for the 155 lb title? On one side we have Ribeiro, who brings a mean submission game to the table. He will look to choke a fool out. On the other side we have Waves, who has finished all three of his fights in the same fashion, his opponent laid out on the canvas and his hand in the air. We have a matchup featuring two heavy hitters, both looking to make their mark in the 170 lb division. Julyfeather has not seen what the outside of the first round looks like, so expect him to come out throwing hands. Withers has shown no fear in the fisticuffs either, so look for him to oblige accordingly. Fight of the night candidate! Another matchup with two bright futures. Gonzalez will look to keep the fight on the feet, as he has shown that his hands are dangerous weapons. This is his third promotion, so he is looking to find himself a comfy home. On the other side we have McCllum, who has shown that he is a fan of ripping peoples arms off. He put in a solid effort in a recent QFC tourney, so look for him to bring that experience to the table. Opening the main card we have a couple of young studs looking to make a sudden impact and put their names on the map. Both are aggressive and well versed in the ground game, so this could be a huge struggle for supremacy. Who will come out on top? Only time will tell. Odds available at Bet FFA:Get way into the fights. The merchandise partner for this event will be Viral Fightwear, show your support by visiting them in St.Petersburg. And finally, this preview was brought to you by Kurtis Hugs, you stay classy FFA. Welcome to the first of many, this is the Wednesday Night Delight! We want to thank you for taking time out of your busy workweek to join us for a tremendous night of fights. You will not leave disappointed. Jonny has not exactly lived up to his namesake so far in his career. But trust us, he will be looking to change that in our main event. He brings heavy hands to this fight. On the other side is “Iron Man”, who is also known for throwing hands every now and again. We could be in for a stand up war with this one folks! Thor has been in one MMA fight in his life, and it ended with his knee to his opponents’ noggin. The Iceland native will look to keep the fight in tight with his muay thai and wrestling skills. James must love action movies, because his fights are full of pure adrenaline. He has not seen the outside of the first round in four fights. He will look to keep Thor at a distance and out box him. Ace is a ground connoisseur. He will be going after a submission in this showdown against Chuck. He will look to start the first winning streak of his career. Unucka is yet to win a fight, so he will be looking to get a W on the board. He brings an all around game to the table with no clear strengths or weaknesses. Dolgov has had a rough few months as of late. He has lost four in a row; with his last win being in August. He should look to keep it standing and box with his opponent. Ellesworth’s loss in FFA came against future champ Billy Khan; so don’t count out “The Comeback Kid”. He will look to attack with a muay thai assault, even though his chin has come into question as of late. We have a spectacular card booked for the fine folks in attendance for this, FFA 6: Savage vs Del Rio. Tell your family, tell your friends, because this is going to be a display of epic proportions. Our main event, a very important title fight! Savage is our newly crowned 170 pound champ, and “Vendetta” will look to keep the gold around his waist with his heavy hands that have lead him to 2 wins in FFA. On the other side is young prodigy Del Rio. Undefeated in his pro career, Del Rio brings a very well rounded style to the MMA game. Savage’s manager, also named Antonio Savage, has informed us that his client has opted to take time off after this fight to improve and become a more complete fighter. We here at Freedom Fighting Alliance respect his decision, and expect him to go out with a bang! So will Savage leave as a champ? Or will we have a new sheriff in town? White has so far lived up to his “Wild Man” moniker, winning all three of his fights in the first round. Apparently he’s a wild man in all aspects of life, as his bank account would make you believe. This man is fighting for a pay cheque. On the other side of the cage we have “Alien”. Although he looks nothing like James Franco from ‘Spring Breakers’, he is sure to leave a lasting impression. He brings a very impressive muay thai game to the table. The debuting Gay will be tested immediately against the FFA lifer Spencer. Gay has an all around impressive game, and has made quick work of his opponents so far. Spencer has shown that he has the stamina and heart to go three rounds with anyone and come out on top. Look for Gay to take it to the ground and for Spencer to do whatever it takes to keep it on the feet. Sonny brings an undefeated record and a mean muay thai game to this fight. Walter brings experience and a well-rounded move set to this fight. We expect a close fight to say the least. Both are looking for their first win under the FFA banner. We have a big night in the history of the Freedom Fighting Alliance tonight; as FFA is hosting an absolutely stacked card from top to bottom. Try to sit back and enjoy! Maybe the biggest fight so far in FFA history, we see “Gakusei” take on “Hands of Stone”. Smith asked for this shot, and our owner Mr. Dangerous happily obliged. The bad blood has even spilled onto Buzz, as the two fighters had a little back and forth confrontation; not keeping their distaste for each other hidden. 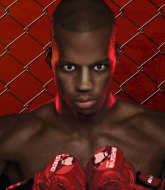 The champ brings an all-around solid game to the cage; finishing opponents with an ‘any means possible’ outlook. Smith has lived up to his moniker early in his career; and has made quick work of his FFA foes. He has a smothering stand up approach that will make this a very interesting fight. Look for these two to stop at nothing to get the win. In our co-main, we feature potential title contenders in Spilopoulos and Wilson. Leonidas is already a former title challenger, coming up short against current champ Jackson Bishop in his last outing. We all have a good idea where he wants to take this fight. Leonidas has a suffocating ground game; which has lead to four submissions in four wins. Wilson, on the other hand, has been known to be a quick finisher in his young career. Look for him to keep it on the feet against Spilopoulos. Young Jordon has burst on the scene and brought some attention to himself with a quick finishing style that have got people talking. He is well rounded and isn’t afraid to show it. If he decides to look past his next opponent, John Wick, he will be in for a world of hurt. The elder Wick brings a very impressive stand up game to the table; along with a more experienced career. He will look to put himself into title contention in the busy 185-pound division. In our main card opener, we will see who is the supreme Russian in FFA. Newcomer Bagov is fresh on the scene and looking to make an impact. He has a very impressive ground game that he will look to use against Kovalenko. Koslov is a former title challenger that is looking to get his name back on the title challenger map. He will look to get through Bagov with his effective wrestling game. If his gameplan works, it could be a long night for “Hulk”. Odds available at Bet FFA:Get way into the fights. The Nutriton Partner for this event will be the top 5 ranked Nuggetori's Nutitionals, get the most out of your training buy stocking your fighters shelves with their great products . And finally, this preview was brought to you by Kurtis Hugs, you stay classy FFA. Hello one and all, we are here for FFA 8 at Hayashi’s Lounge. We have a big night ahead of us with TWO (!) title fights at the top of the card. Our main events features two dangerous fighters; so keep your eyes open for this one! ‘Nightmare’ has been dangerous to say the least to start his FFA career. He will be looking for a third straight KO in the company. ‘Thavas’ is undefeated in his career and he will look to keep the streak alive. His stand up has carried him to some devastating knockouts early in his career, and we don’t expect much to change yet. The champ, ‘OG’ Khan looks to defend his strap for the first time. He has been on a path of destruction so far in FFA; barely breaking a sweat in both his appearance Both opponents will attest to his heavy hands. ‘Mr. Coach’, who is yet to fight in FFA, gets a title shot right off the hop. This shows how much the owners at FFA think of him. They think he could be the next big thing, but he has a very dangerous opponent ahead of him that he cannot take lightly. This could be a stand up war that we all want to see. Next up we will find out who is contender and who is a pretender in the 170-pound division. Hryunov is coming off a lightning quick KO to start his FFA career. He has made a lot of progress as his career continues, and he looks to show that off in this fight. His opponent Ikban, has shown the ability to bring the fight to anyone so far in his career. He offers a very impressive muay thai game to the table, and will look to enforce his will on Saturday. The debuting Rambo has gotten off to a very impressive start to his career; using his smothering wrestling tactics to overwhelm his opponents. He looks to take a step up in competition as he takes on McPunchface. Darren has lived up to his namesake thus far in his career, punching the faces of all comers. Will the boy from Brooklyn come out on top? Or will the Florida product ruin the homecoming? Odds available at Bet FFA:Get way into the fights. The Nutriton Partner for this event will be the top 5 ranked Nuggetori's Nutitionals, get the most out of your training by stocking your fighters shelves with their great products . And finally, this preview was brought to you by Kurtis Hugs, you stay classy FFA. This is the second edition of our monthly rankings. At the end of the rankings will be a top 10 P4P list. Hope you enjoy and gives you some perspective of where you stand with your hunt for the title. Welcome all; we are back at Hayashi’s Lounge (they better get used to us). We have a night of outstanding fights planned for you all. Our inaugural 185-pound champion will be crowned tonight. So sit back, relax, and enjoy. Our first ever champion in the 185 pound division isn’t going to have an easy fight. The winner will definitely have to earn this one. James Jordon is coming off a dominant win in his FFA debut. He brings an all around game to the cage; and is also a big fan of triangle chokes. Michael Jackson is a newcomer that has shown that he deserves an immediate shot at the gold. This Canadian treasure will look to keep the fight standing, although he is no slouch on the ground. Someones 0 has gotta go! Our co-main event features a potential contenders bout. Both of these men are looking to get the first shot at the champion. Romero is looking to prove he isn’t a one-trick pony, taking on only his second opponent in his career. Preuss does not have a fight to his credit, but he is no slump in the cage. He will look to get in tight with his vicious muay thai. “Iron Man” is off to a hot start in his career. He brings the heat in the stand up game, as his 3 KO’s in 4 wins explain. He will look to do much of the same against his opponent tonight. Atli has shown an inability to lose so far in his career. He has a muay thai game that would bring a tear to your eye. He will look to use it to his advantage against his opponent. Our main card is starting off with some heat! Chewster hasn’t shown how good he really is, and he will look to bring his phenomenal wrestling game into action. Heimer, known for his stand up in the amateur circuit, started off his career rather surprisingly with a submission victory. Look for him to show his true colours out there this time.